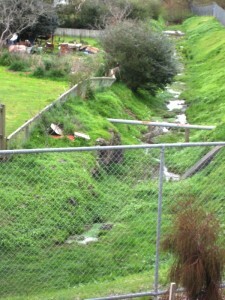 Meola Creek » Blog Archive » When is a creek not a creek? In the case of Meola – it is not a creek when Housing NZ applied to Auckland Regional Council (ARC) for consent to cut off the meander at the top of the creek behind 96 Haverstock Rd. 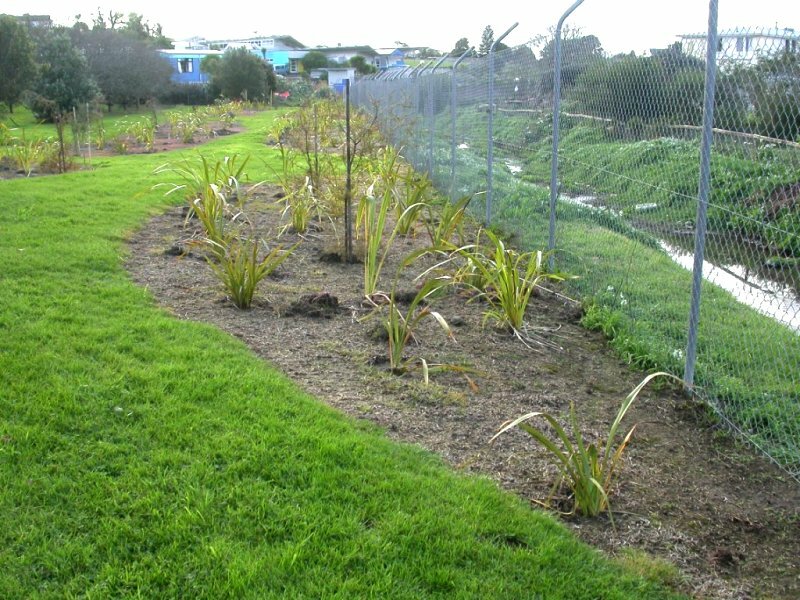 ARC chose to grant an UNNOTIFIED consent for Housing NZ to straighten the creek and build a concrete wall and lane over the creek bed as a permitted activity in a watercourse. So – by the time the Auckland City Council (ACC) public hearings for HNZ development of 41 units were held 2 months later – HNZ and ARC had already decided the creek’s fate. City Councillor Glenda Fryer has contacted ARC Chairman Mike Lee on behalf of the local community to ask how this happened. We were pleased that the Kura Kaupapa in Haverstock Rd and the Environmental Network at Hort Research (who have planted around the wetland above the creek) joined STEPS and other submitters in raising concerns at the ACC Hearings in September. 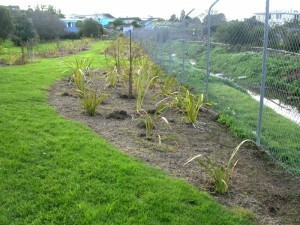 See attached JPG photos of the creek bed and the plantings above it done by the Environmental Network. Our thanks to Community Board Chair Chris Dempsey – who appeared as a witness for STEPS and Meola Creek at the ACC Hearings. We await the decision from the hearings.